Dr. Margaret Ragni has studied bleeding disorders for over 30 years. As a Professor of Medicine within the hematology/oncology division at the University of Pittsburgh, and as Director of the Hemophilia Center of Western Pennsylvania, she draws on that history to treat patients, conduct clinical research, and to teach and mentor students, residents and fellows. As part of her work, Dr. Ragni has been using hospital discharge data from the Pennsylvania Health Care Cost Containment Council (PHC4) for more than 10 years, having first learned about the data through PHC4’s long-standing relationship with Pittsburgh’s Jewish Healthcare Foundation. Dr. Ragni purchased PHC4 data to study the prevalence of venous thromboembolism (VTE) in pregnant, African-American women with sickle cell disease. By linking hospital discharge data with mortality and birth certificate data collected by the Pennsylvania Department of Health, PHC4 staff was able to provide Dr. Ragni with a robust dataset that was uniquely relevant to her research. Results of the study showed that the prevalence of pregnancy-related VTE was 1.5 to 5 times greater in the study population than in the general pregnancy population. These findings have resulted in changes to treatment protocols related to anticoagulant regimens. Moreover, higher prevalence of VTE among those in the study population who also had certain complications, such as pneumonia, acute chest syndrome and vasooclusive crisis, suggests increased opportunities to identify potential VTE (that might otherwise go undetected) among pregnant women with sickle cell disease. Encouraged by her work at the Hemophilia Center, Dr. Ragni has also used PHC4 hospitalization data to study aspects of von Willebrand disease, a genetic disorder caused by missing or defective von Willebrand factor (VWF), a clotting protein found in the blood. In particular, she set out to understand and predict postpartum hemorrhage in patients with this condition and has recently published an article entitled, Postpartum haemorrhage in women with von Willebrand disease: an observational study of the Pennsylvania Health Care Cost Containment Council (PHC4) database. In describing the study, Dr. Ragni stated, “We found that anemia was the best predictor, but we truly do not know if that precedes the diagnosis of postpartum hemorrhage.” She added that they are prospectively evaluating this issue. In describing the PHC4 dataset, Dr. Ragni expressed that it most definitely met the data needs of her research, and she described the data quality as excellent, recognizing that, as a state-specific database, PHC4 data is especially relevant to more common disorders, such as VTE. Dr. Ragni also commented on the data request process, noting that, “The staff at PHC4 are excellent, and provide timely answers to questions.” She added that PHC4 staff is also skilled in helping special data request clients formulate relevant questions and identify the appropriate variables for each project. Dr. Ragni plans to continue her practice of using PHC4 data to examine important clinical questions. Working with her current medical students, she plans to assess the risk of VTE in women undergoing in vitro fertilization and the cost benefit of anticoagulation in that setting. Margaret Ragni MD, MPH is a Professor of Medicine and Clinical Translational Science at the University of Pittsburgh Medical Center. She received her MD from the University of Pittsburgh School of Medicine and a Master of Public Health from the University of Pittsburgh School of Public Health. She completed her residency and fellowship in hematology/oncology at the University of Pittsburgh Medical Center, where she joined the faculty in 1983. Dr. Ragni’s research interests are in congenital and acquired disorders of hemostasis and thrombosis, and, in, particular in novel therapeutics for patients with hemophilia with and without inhibitors. 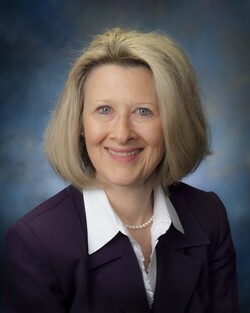 She serves on the Medical and Scientific Advisory Committee of the National Hemophilia Foundation (NHF), the FDA Blood Products Advisory Committee, the Scientific Committee on Hemostasis of the American Society of Hematology (ASH), and on the Medical Advisory Board for the Foundation for Women and Girls with Blood Disorders (FWGBD). She also served as Co-Chair for the 2014 ASH Annual Meeting; as Co-Chair of the Research Committee of the Hemostasis & Thrombosis Research Society, and is a member of the Research Committee of the American Thrombosis & Hemostasis Network. She is past member of the Hemostasis Thrombosis Study Section of the National Heart, Lungs and Blood Institute (NHLBI), and Co-Chair of the Bleeding Disorders Subcommittee of the NHLBI State of the Science Symposium. She serves on Scientific Advisory Boards for Alnylam, Baxalta, Biogen, and Biomarin. She has conducted numerous clinical trials, observational studies, retrospective data base analyses, cost-effectiveness analyses, and investigator-initiated new drug trials in hemophilia and von Willebrand disease. She is the medical director of the Hemophilia Center of Western PA, providing care for patients with bleeding and clotting disorders, and teaches and mentors medical students, residents, fellows, and young faculty.